Vacation Work's guide to useful websites. Vacation Works guide to useful websites. Train to teach EFL via home study but with the full support of a personal tutor and materials. Choose form our TEFL certificate course, TEFL certificate course with business or introductory TEFL course. For experienced EFL teachers we also offer a foundation course in teaching business English. Monster.com is the leading global online network for careers, connecting the most progressive companies with the most qualified career-minded individuals. The Monster.com network consists of sites in the United States, Canada, United Kingdom, Netherlands, Belgium, Australia and France, with additional sites to launch soon in Germany and Singapore. For Job Seekers: Monster.com is a lifelong career network job seekers can use to expand their careers. For Employers: Monster.com offers employers cost-effective and efficient recruiting solutions. Monster.com launched in January of 1999 as a result of the merger of The Monster Board®, and Online Career Center. Virgin.Net Jobs and Careers is a comprehensive online resource for job-hunters. Whether you're looking for a recruitment agency, careers advice or want to find your ideal job at home or abroad, you'll find a wealth of useful information here. Finding seasonal and permanent hotel and bar work for backpackers and students throughout the United Kingdom and Ireland. Highland Hospitality Recruitment tries to find you work within a few days. See their website and register in the database and you may be in work by the end of the week. Everything you would want to know about what is offered and what goes on at Reading University. "A mixture of information and interactive exercises as well as a number of reference sections for students to consult whilst conducting their own career research." The Seafarers' Benefit Advice Line is a UK based advice service operated by the Citizens Advice Bureau (CAB) and funded entirely by the Seamen's Hospital Society to provide free, independent, impartial and confidential advice on the telephone, by email, post or fax, to Merchant seafarers, fishermen and their immediate families. desperately needs a helping hand! & more. Your complete hospitality guide. Directmoving.com - the first Worldwide Relocation portal. A goldmine of information and services on expatriation, from careers and health, to real estate and education (worldwide directory, vast selection of links, guidance and online tools) for expatriates and HR Managers. ACA is a nonprofit association dedicated to serving and defending the interests of individual US citizens living worldwide. For only $35/year you can become an individual member and get the latest print and electronic information on taxes, citizenship, voting and the census. Visit our website or email us at acage@aca.ch or phone/fax +41 22 3400233 in Geneva. Leading UK publisher of newspapers on migrating and travelling to Australia and New Zealand. Also provide newspapers and magazines from Australia/New Zealand. EscapeArtist.com - Expatriate resources, Resources for Americans fleeing America, or anyone moving abroad, in a database of expatriate resources, embassies, international jobs & offshore financial services. Has a magazine on moving to other countries covering Jobs Overseas - Lifestyles - Opportunities - Homesteading - and Investments for anyone running away to home. Founded in 1997, expatexchange.com has become the largest online community for English-speaking expatriates. Comprised of over 140 country and topic networks that can be accessed for FREE, the community has supported over 500,000 expats through all phases of the expatriation and repatriation process. It is our goal to build the most useful online pool of resources for individuals living outside of their country. SpanishForum.OrG is an interactive website with free professional advice on all aspects of living in Spain. Information about the documents you need, banking, health care, rentals, tips for homebuyers … its all there. SpanishForum.OrG is an association of ex-pats and Spaniards who strongly believe that reliable information is indispensable for a successful integration in Spain. We want to be your favourite forum. GAP Activity Projects sends close to 1400 young people each year to volunteer overseas in over 30 countries during a gap year between school and higher education, employment or training. Volunteers work overseas for between 4 to 11 months and undertake a variety of tasks - teaching English as a foreign language, working in schools, helping in caring organisations and on outdoor activity camps and with conservation work. All GAP volunteers must be aged 18 at the start of their GAP placement and must attend a GAP interview in the UK. Since January 2001 Goethe-Institut Inter Nationes e.V. has acted as the Federal Republic of Germany's biggest mediator of foreign cultural policy. The result of the fusion of the Goethe-Institut (founded in 1951) and Inter Nationes (founded in 1952), the new body is the organisation for the teaching of German language and culture worldwide. 128 cultural institutes in 76 countries implement arts programmes on behalf of the Federal Republic of Germany, running language courses, offering support to teachers, universities and local authorities instrumental in promoting the German language and providing up-to-date information on Germany. 15 institutes in Germany offer language courses taught with the latest methods to ca. 25,000 foreign participants a year. They also stage an extensive programme of cultural activities. International cultural journals, books, information on Germany, films, documentaries and a broad range of online services are accessible to interested parties all over the world. Cuba Connect is a fair-trading company working with the Cuban People to help develop trade and solidarity. This online store has been developed on a non-profit basis in association with the Cuba Solidarity Campaign. Cuba Connect has the best in products and services from Cuba and beyond and currently has over 100 Cuban- related products on catalogue including music, videos, books, Cuban coffee and many other gifts. What are you going to do in the Big Wide World? Don't know? Don't panic! Bigwideworld.com is your one-stop guide to life - providing young people with vital information on over 600 modern careers, the UK's colleges and universities plus channels devoted to everything from Movies to Music, Sport to Travel and Money to Motoring! A great place to find the information you need and enjoy yourself at the same time! UK ski site: 1000s of skiing holidays, detailed database of 1800 resorts, free snow reports, interactive equipment guide and ski fitness programme. EmbassyWorld.com - All of the world's embassies in a searchable database, including consulates, UN missions. Also provides worldwide visa requirements, international telephone search. Hostelling In Homes Australia provides budget priced bed and breakfast accommodation as an alternative to backpacker hostels. A chance to meet with Australians in their own homes and experience the real Australia. If you need to find out the latest currency prices around the world this is the place to go. Easily convert to and from most currencies. STA Travel specialise in travel for students and young people, with 65 branches in the UK and over 450 worldwide. Offering low cost flights, insurance, accommodation, travel passes, overland tours and car hire. All our staff are young, experienced travellers, offering first hand advice. For bookings and enquiries call 0870-160 6070. A good resource for information on flights, accommodation, entertainment and much more in the UK. USA by Rail is the definitive guidebook with everything you need to know about train travel in the US and Canada, including sightseeing, transport and accommodation in 37 cities along the way. Share your travel tips and you could win a free copy of the latest Railroad Tycoon II computer game. This website is currently offering two Amtrak rail passes in a free contest. Specialists in youth and student travel. WEXAS is the UK's largest travel club for independent travellers. Their 35,000 members enjoy an unbeatable combination of low prices, travel ideas and information, and outstanding service. The Youth Hostels Association in England & Wales operates over 240 Youth Hostels throughout the countryside and in cities. YHA membership is also valid internationally and there are over 5,000 hostels in 60 countries worldwide. YHA also runs a range of activity and special interest holidays. If you ski or would like to ski this site will help you find everything you need from flights to skis to chalets. Hotels and European hotel reservations by Venere.Com, apartments, bed and breakfast, travel and lodgings. One of the biggest ski websites in the UK. They are able to organise any or all parts of a ski trip at competitive prices. The Globetrotters Club is for independent travellers and travel enthusiasts of all ages and has been active for over fifty years. So if you are looking for the ultimate travel experience, wishing to plan from first hand information, interested in travelling off the beaten track, wanting reassurance before your big trip, requiring that little push to get you started or even just daydreaming of far-flung shores, then we are sure Globetrotters is for you. CRY is a Christian charity dedicated to caring for disadvantaged and suffering children and young people, with the aim of meeting their material and physical, social and educational, emotional and spiritual needs while promoting exemplary standards of child .CRY partners child care projects, works directly with street children, establishes training programmes and promotes fostering as the most viable means of appropriate child care. CRY works throughout the deprived areas of Eastern Europe specifically in Romania, Kosovo, Ukraine, Russian Caucasus, Albania and Armenia, and they are actively seeking to expand operations to other parts of the world. The Cuba Solidarity Campaign defends Cuba and it's people's right to sovereignty and self determination. It campaigns against the Helms-Burton Law which seeks to tighten the illegal US economic blockade. Membership is open to individuals and organisations. Membership includes a subscription to the quarterly magazine Cuba Si which provides accurate information and views about Cuba. -to improve communications within the organic movement. WWOOF organisations compile a list of organic Host farms that welcome volunteer help. For short-term international voluntary projects in east, west and central Europe, North Africa, the Middle East, Japan and the USA. for people aged 18-30; schemes include environmental conservation, social work and construction. Experience a country from a whole new perspective through a Cross-Cultural Solutions' volunteer programme in Brazil, China, Costa Rica, Ghana, Guatemala, India, Peru, Russia, Tanzania or Thailand. By participating in a Cross-Cultural Solutions programme, you will have the opportunity to work side-by-side with local people on locally designed and driven projects, allowing you to see a country through the eyes of its people. Cross-Cultural Solutions is a recognised leader in the international volunteer field, sending hundreds of volunteers overseas every year. Programmes range from 2-12 weeks. The programme fee covers the cost of the programme and a great deal more, including pre-departure materials, your personalised volunteer placement, in-country Perspectives Programming, Home-Base lodging, all meals, in-country transportation, experienced and professional support staff, all local and incoming international phone calls, a 24-hour emergency hotline, and travel medical insurance. Fees start at $2,175 (approx. £1,200). Participate in meaningful community development while getting to see a country from a whole new perspective by contacting Cross-Cultural Solutions today on 0845-458 2781/2782 or at infouk@crossculturalsolutions.org. A website with ecovolunteer work on offer. Since its formation in 1998, Global Vision International has sent almost one hundred Volunteers on overseas expeditions. Through its alliance with aid reliant environmental organisations throughout the world, GVI Volunteers fulfil a critical void in the fields of environmental research, conservation, education and community development. A non-profit organisation based in Washington DC that places people in six month to a year long volunteer programs overseas in Mexico and Africa. World Youth International offers a range of overseas volunteer and exchange programs for people from 14 up for periods from 1 month to 1 year. Volunteer opportunities in PERU for those interested in improving their Spanish and helping out. 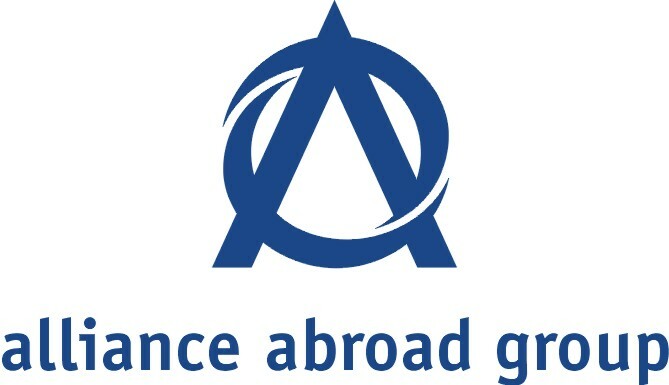 Alliances Abroad is the only company of its kind: designing and delivering customized programs for individuals and groups around the globe who want to learn about other cultures by studying or working abroad. I run the Global Volunteer Network, a non profit organisation. We place people in community projects in China, Ecuador, Ghana, Nepal, Uganda, and Romania. Volunteers have the opportunity to participate in a variety of educational and community aid programs. Volunteers can be involved in teaching English, environmental work, health and sanitation, and cultural home stays. Without the support and assistance gained through the volunteer programme, KIYA could not continue its valuable work. This summer, why not experience something new? Camp America is a summer work and travel programme, where people work in American summer camps and resorts for 9 weeks and in return receive free flights, accommodation, meals, pocket money and masses of fun, adventure and experience! i-to-i train and place over 1000 volunteers every year worldwide. English teaching, professional work placements or conservation volunteers work usually up to 3 months gaining valuable experience in challenging and rewarding environments. Current overseas destinations include Australia, Bolivia, Costa Rica, India, Sri Lanka, Thailand, Taiwan, Georgia, Russia, Uzbekistan, Uganda and Ghana. Recruiters of English speaking volunteers for adventurous foreign travel and worthwhile jobs. If you fancy doing a ski season, working on yachts or cruise ships, in a beach resort or in one of many hotels, restaurants and bars or as a chef in the UK or overseas … then this is the website for you; with thousands of vacancies available once you have registered your CV. we'll deliver your ideal summer job directly to you! Travel advice, packing check-lists and kit for the Inspector Gadgets of the backpacking world. All books purchased online from the Vacation Works website have a £2 reduction on the bookshop price. Customer Services Tel. 01865-241978 (9am-5.30pm mon-Fri) Standard call charges apply.